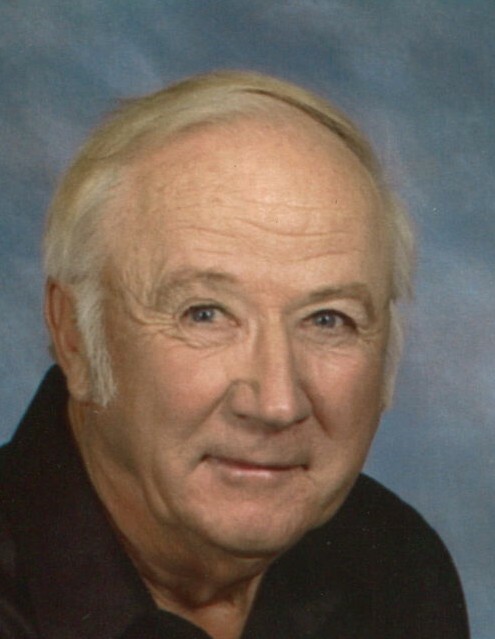 Thermopolis resident, Harold Junior Bendlin, 80, passed away January 22, 2019 at the Central Wyoming Hospice Center in Casper, Wyoming, after a period of declining health. Born July 20, 1938 in Spencer, Iowa, he was one of four children of Harold and Eva (Whetstine) Bendlin. He came to Hamilton Dome, Wyoming as a young child to live with his uncle Roy Whetstine where he attended school and was captain of the basketball team. At the age of 17 Junior joined the US Navy Western Pacific Tour aboard the attack air craft carrier USS Bon Homme Richard, Ports of Call included Pearl Harbor; Yokosuka, Kobe, Beppu & Sasebo, Japan; Subic Bay, Philippine Islands; Buckner Bay, Okinawa and Hong Kong, China, returning to the U.S. in 1957. On February 17, 1960 he married Chrissy Schwerdfeger in Colorado Springs, CO. Junior began working in the oil fields and construction in Wyoming. Memorable projects being Yellowstone boat docks and Anchor Dam. He retired from WYODOT after 30 years as a heavy equipment operator with multiple safety awards. Later providing property maintenance for area residents. A member of St. Francis Catholic Church, he was a Grand Knight 4th Degree with the Knights of Columbus. Junior was a member of the VFW and GTO Association of Northern Colorado. His interests were fishing, hunting, bowling and showing his original classic 1967 GTO. Those cherishing his memory include his loving wife Chrissy of 58 years; daughters Jodi (Bruce) Wasserman of Aurora , CO and Andrea (Craig) Cole of Broomfield, CO; grandchildren Briana, Christina, Nicholas, Evan and Logan; five great grandchildren; and sisters, Janice Daff of Pueblo, CO and Diana Bryant of Canyon, TX. Life long friend and co-conspiritor Robert "Skip" Halbert, and mentor friend Jerry Slagle. Junior was preceded in death by his parents and twin sister JoAnn McCaslin. Mass of the Christian Burial will be Saturday, January 26, 2019 10:30 AM at St. Francis Catholic Church with Father Randy Oswald and Father Hugo Blotsky officiating. Rosary will be recited Friday evening, January 25, 7:00 PM, at St Francis Catholic Church . Mortimore Funeral Home is assisting the family. Online messages may be offered at www.mortfh.com. Memorials may be given to Hot Springs County Library Foundation, P.O. Box 951 or Knights of Columbus, P.O. 272, Thermopolis 82443.